Debt restructuring is the single most important process that can be applied to a contemporary credit portfolio. It is the gateway to successful customer rehabilitation. The process itself is simple, linear, and uniform across portfolio segments. Its implementation details, however, can be complicated, especially when they come into conflict with established practices and systems. As with any other analytics-supported process, predictive modelling, business logic and operational response go hand in hand. None of them is capable of optimising a portfolio’s performance on its own. 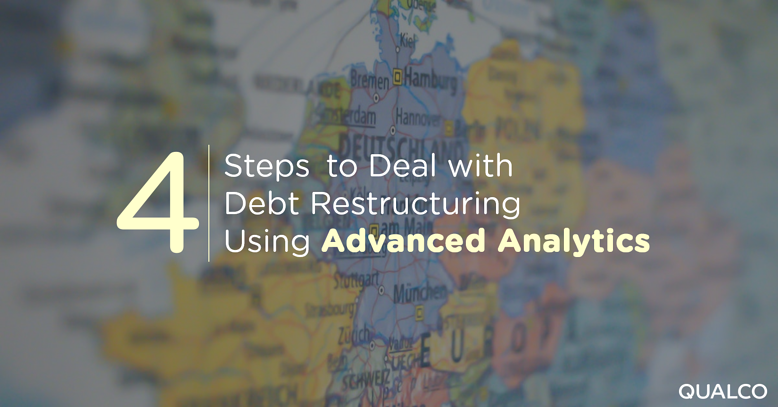 In this infographic we present the four steps to deal with debt restructuring using advanced analytics and modelling. Deep-dive into the credit portfolio restructuring process and learn how advanced analytics can contribute further in the customer journey.